Citizen CX2 Printer Drivers. Whats makes the CX2 Compact the perfect photo printer for event photographers, in party photo boxes and in the vending area. The most important advantages at a glance and extreme compact and light, ie super-mobile and perfect also for small rooms. High quality with high print speed and fast print with excellent picture quality. Also user-friendly and easy installation and even easier media change. Citizen CX2 stand-by mode reduces power consumption by up to 98% and improved printer driver (PC) and informs about the current status of the media supply. The quality and portability are the critical criteria for your new photo printer, you do not need to look any further. Your new one should be CX2 Compact from Citizen. 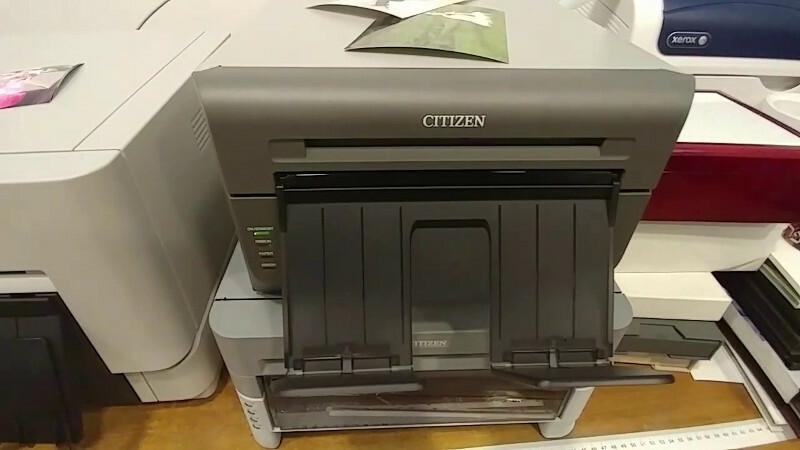 This Citizen CX2 Compact extends the excellent Citizen printer program and impresses with its unique level of quality, mobility and extreme compactness. The Citizen CX2 Compact is about 2kg lighter and about 15% smaller than its larger brother, the CX model. Nevertheless, he prints photos in laboratory quality in only about 8 seconds. Save your ribbon and photo paper with the new ribbon rewind feature, since you no longer need unnecessary waste when using 15x20cm material for 10x15cm prints.